SAN DIEGO, June 14, 2012 -- The first major phase of flight testing the X-47B Unmanned Combat Air System (UCAS) demonstrator aircraft came to a successful conclusion on May 15 when Northrop Grumman Corporation (NYSE:NOC) and the U.S. Navy wrapped up testing at Edwards Air Force Base, Calif.
Northrop Grumman is the Navy's prime contractor for the UCAS-D program. "The X-47B flight test program at Edwards will be remembered as a very successful collaboration among the Navy, Northrop Grumman and the U.S. Air Force Flight Test Center," said Carl Johnson, vice president and Navy UCAS Enterprise program manager for Northrop Grumman's Aerospace Systems sector. 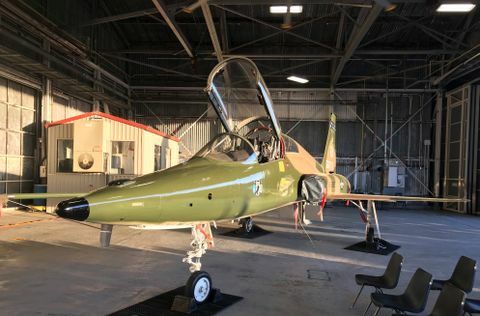 "The team has done outstanding work testing and preparing the aircraft for the next phase of the program, which will take place at Naval Air Station Patuxent River, Md." 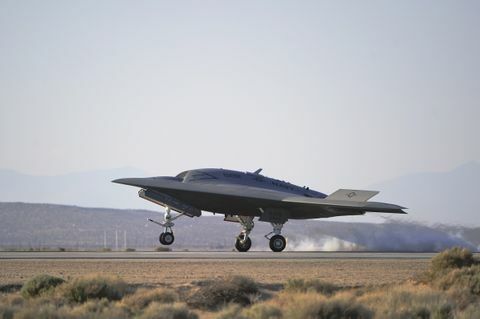 Earlier this morning, he added, the team completed the cross-country move of the second of two X-47Bs built by Northrop Grumman from Edwards to Patuxent River. Carrier suitability testing of the aircraft will begin later this summer. 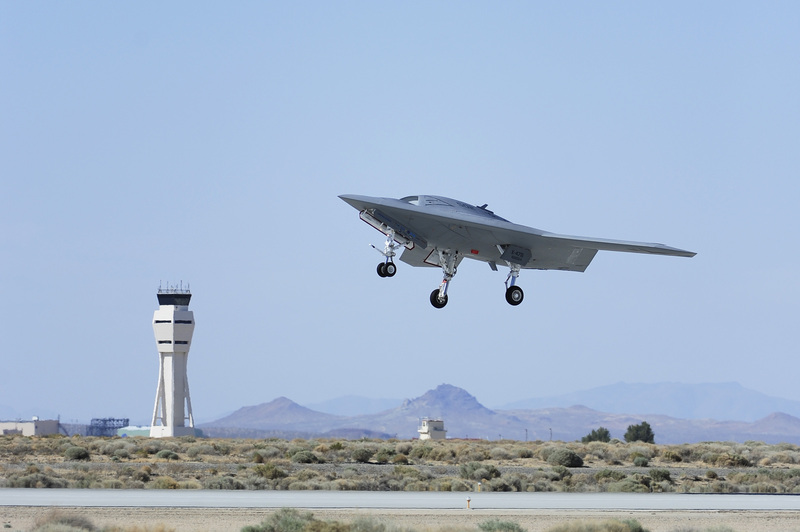 "The X-47B flight test program at Edwards demonstrated convincingly the maturity, durability and performance of this revolutionary new unmanned system," said Johnson. "Through innovation, hard work and an enduring partnership with our customer, we laid the foundation for the upcoming carrier integration sea trials." While at Edwards, the X-47B aircraft reached altitudes exceeding 15,000 feet and demonstrated multiple maneuvers relevant to carrier operations, including extending and retracting a tail hook, completing an autonomous "touch-and-go" landing â an aviation first â and performing landings at a high sink rate and in a heavy weight configuration. The Northrop Grumman team is currently finalizing the software that will be required to enter carrier suitability testing of the X-47B. 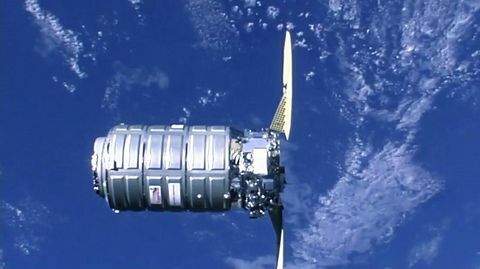 That testing will include catapult launches, arrested landings and wireless remote deck handling of the aircraft. The first X-47B was moved to Patuxent River in December 2011. It is currently undergoing electromagnetic interference testing, which is designed to demonstrate that the X-47B is compatible with the electromagnetic signal environment of an aircraft carrier. 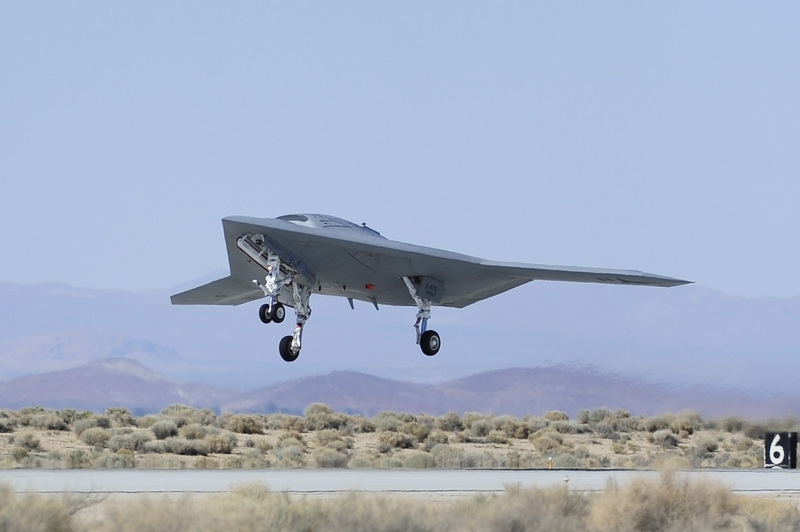 In 2013, the UCAS-D program plans to demonstrate the ability of the tailless, autonomous, low-observable relevant X-47B demonstrator to operate safely from a Navy aircraft carrier, including launch, recovery, bolter and wave-off performance. Demonstration of autonomous aerial refueling by the X-47B is planned for 2014. The program will also mature and demonstrate technologies required for future carrier- capable unmanned air system programs. For the latest X-47B news and information, please visit www.as.northropgrumman.com/products/nucasx47b/ .